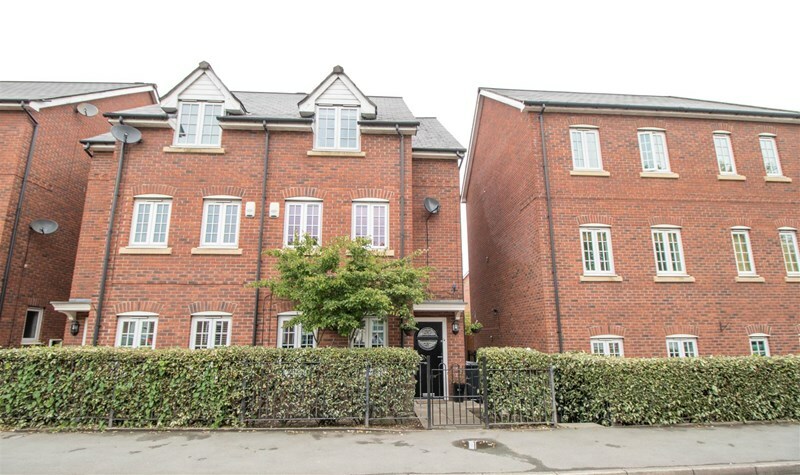 Stunning 4 bedroom, 3 storey semi-detached home located on Market St in the Stoneclough area of Radcliffe, Manchester. Spacious lounge with feature wall mounted fire and french doors to the rear. Luxury high gloss kitchen in cream with integrated appliances and centre island breakfast bar. 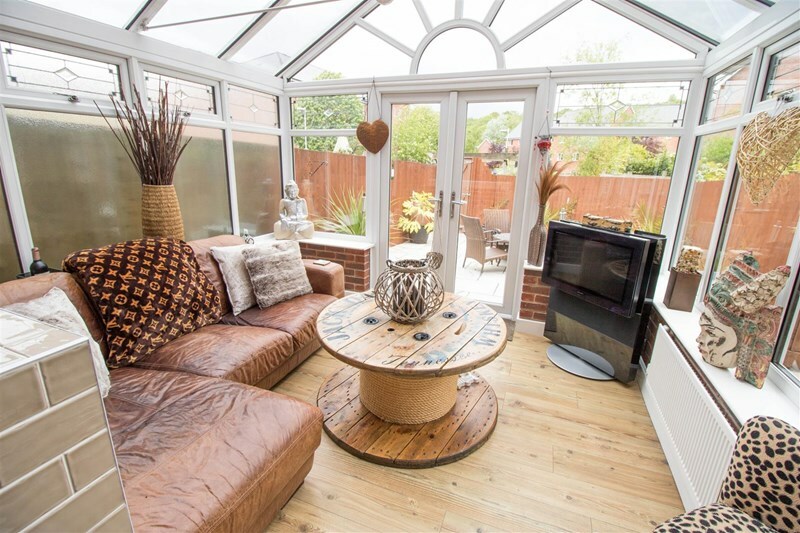 Open plan glass roofed conservatory. 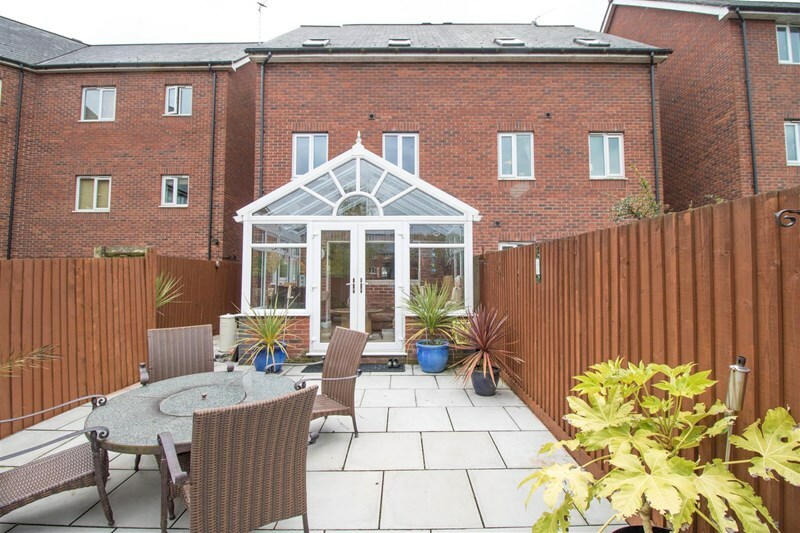 Fully enclosed, low maintenance rear garden with space for garden furniture and barbeque. 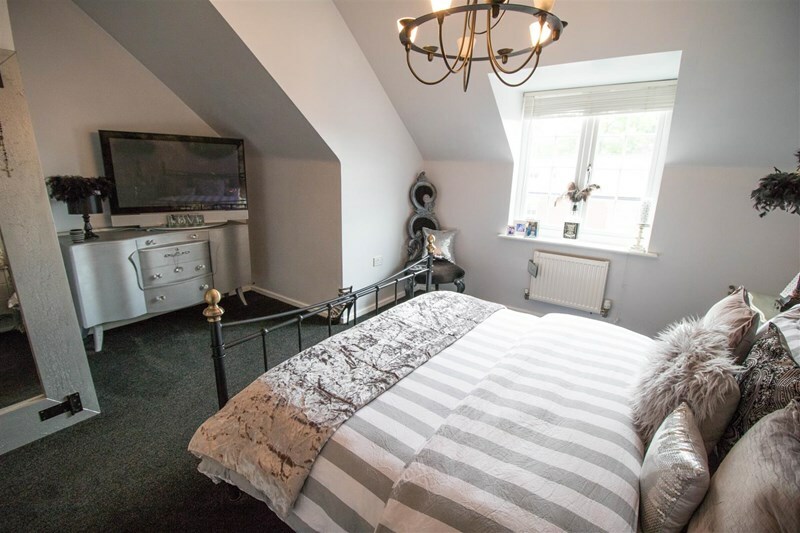 4 double sized bedrooms, with an en-suite bathroom included to the master bedroom. Fantastic master bathroom, with a 4 piece suite in white, including a basin, toilet, bath tub and walk in shower cabinet. Fully gas central heated and double glazed windows and doors. 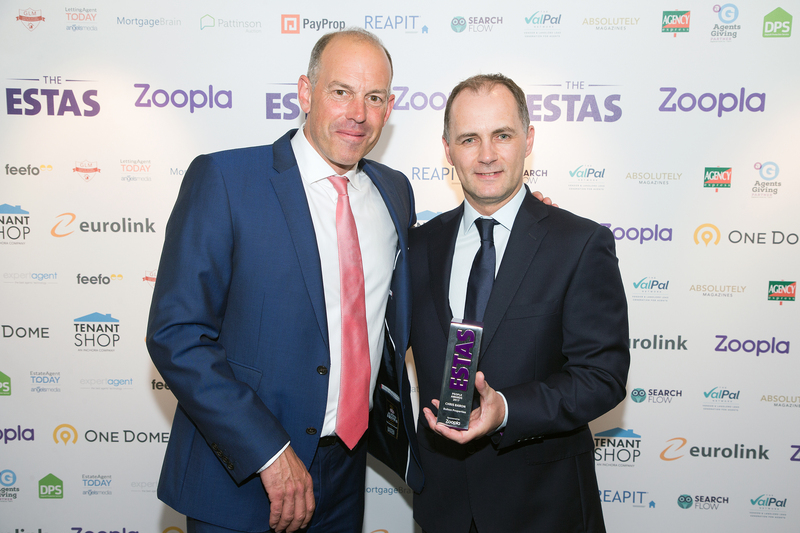 Offers easy access to Manchester City Centre via car, bus or train. 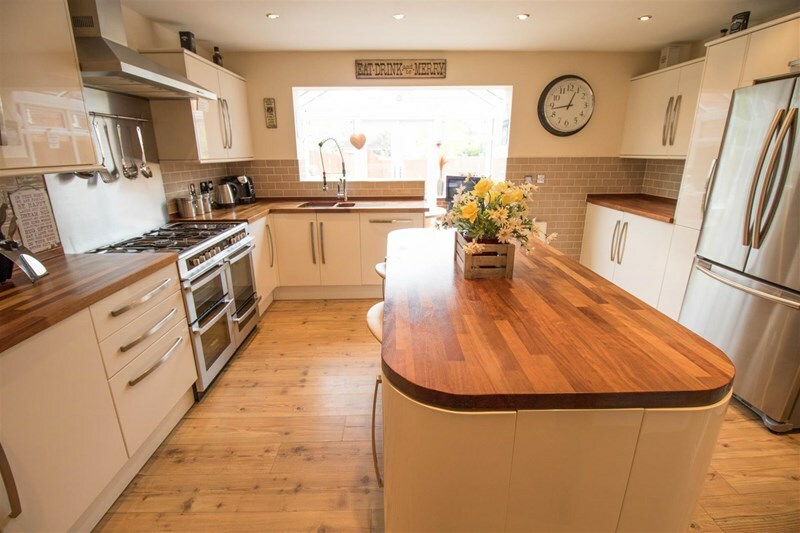 Must be viewed internally to fully appreciate the high quality interior and space this wonderful family home as to offer. 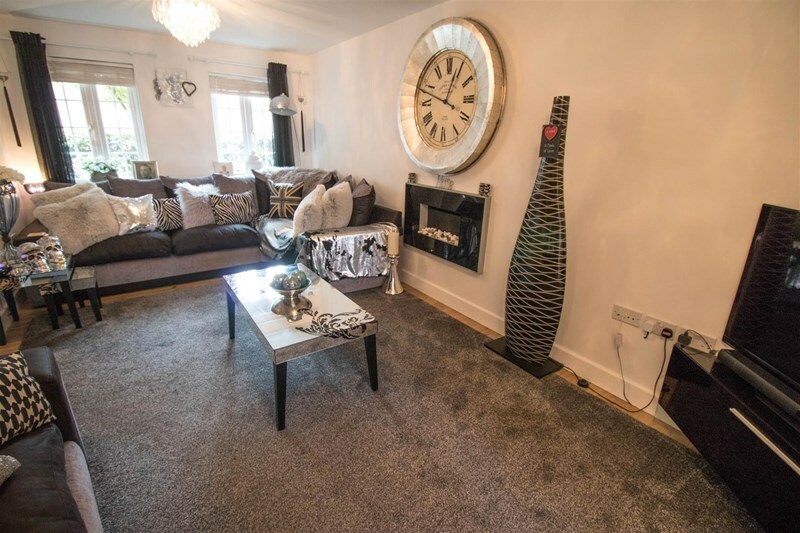 A quite simply stunning 4 bedroom (all doubles) , 3 storey semi-detached home located on Market St in the Stoneclough area of Radcliffe, Manchester. A credit to the current owners, this wonderful family home briefly comprises of the following, an entrance lobby, a spacious lounge with a feature modern wall mounted fire and opening internal french doors to the rear, a superb fully fitted kitchen in high gloss cream, including an integrated gas hob, grill, oven, chrome extractor hood and appliances plus an open plan conservatory with glass roof overlooking a low maintenance garden to the rear. 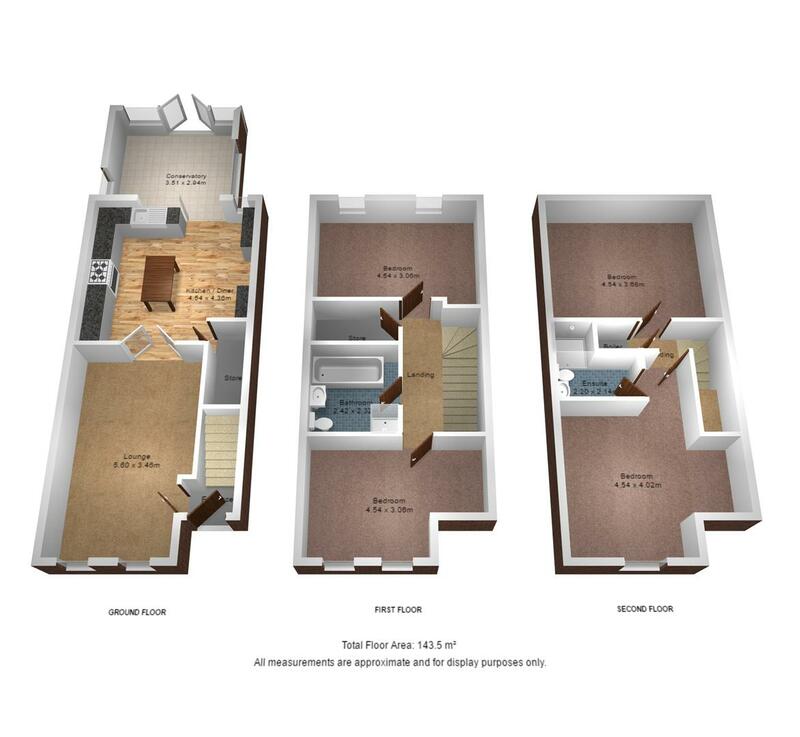 To the 1st floor, you will find 2 double sized bedrooms and a luxury 4 piece master bathroom suite in white, including a basin, toilet, bath tub and walk in shower cabinet. 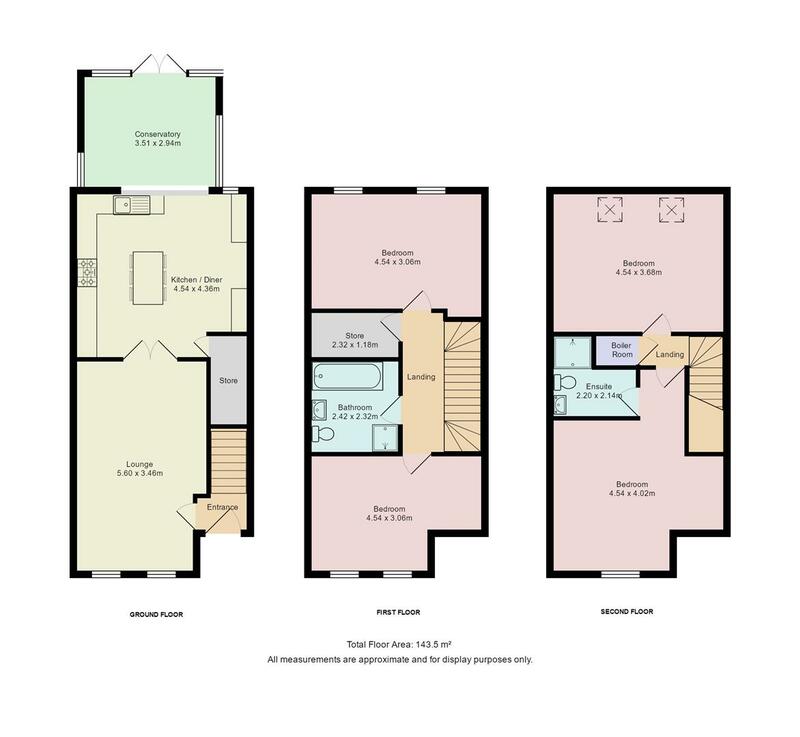 To the 2nd floor, you will find 2 double sized bedrooms with an en-suite bathroom included to the master bedroom with a basin, toilet and walk in shower cabinet. 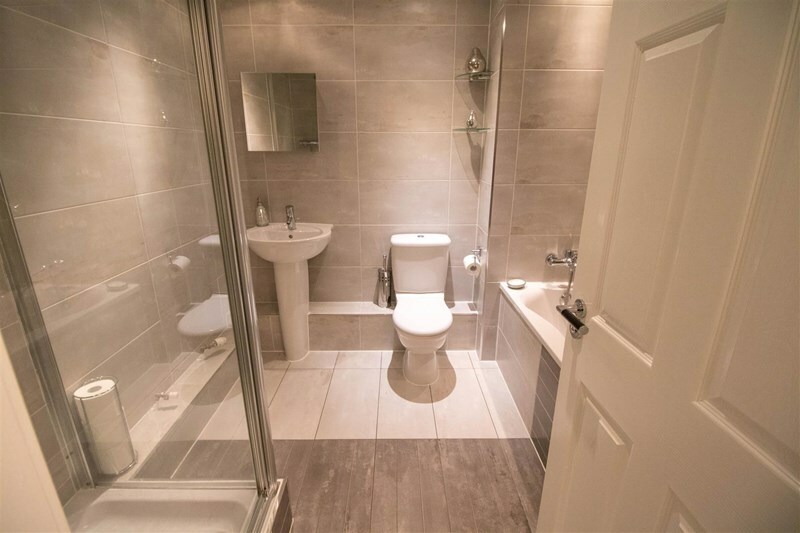 Offers easy access to Manchester City Centre via train, car or bus. Full gas central heating, double glazed windows and doors throughout. Off road parking included to the rear, 2 x allocated car parking spaces. 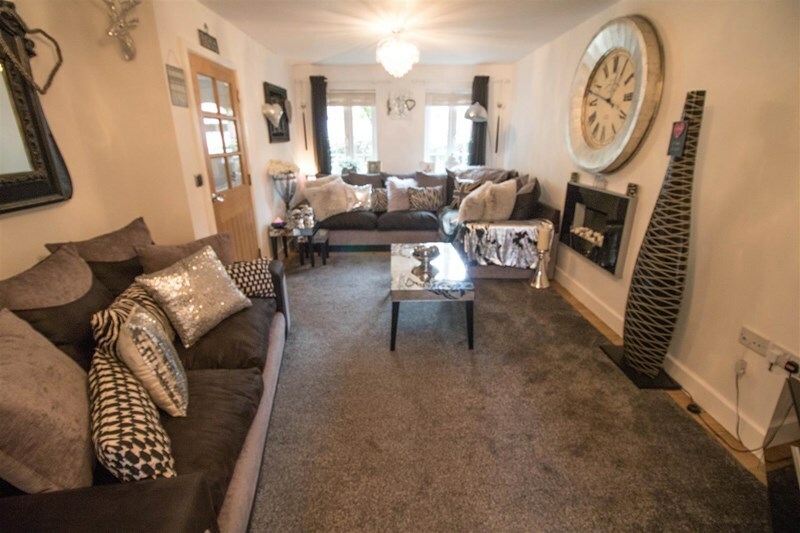 Must be viewed internally to fully appreciate the luxury interior and internal space on offer. 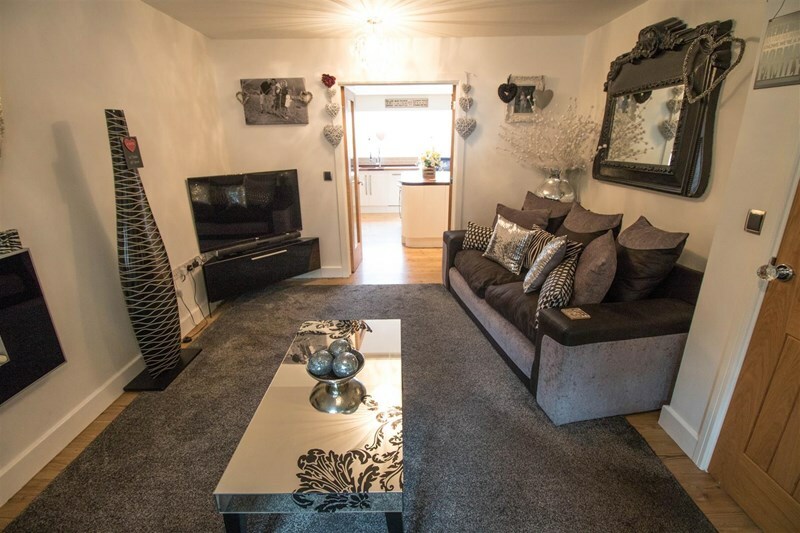 Viewings by appointment only via Bolton Properties. The entrance lobby, decorated in white and finished with a grey tiled floor. Fitted with a composite entrance door and warmed by a gas central heated radiator to one wall. A spacious lounge with a modern feature wall mounted fire. Decor is neutral with a lovely wood laminate floor, with plenty of space for modern furniture to fit easily. Comes with 2 double glazed uPVC windows to the front aspect and warmed by a gas central heated radiator. A pair of opening french doors lead to the luxury kitchen to the rear. 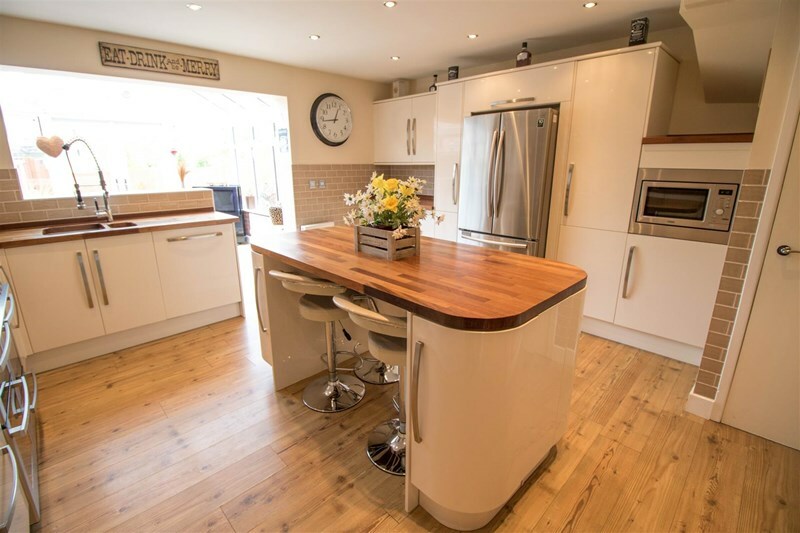 A stunning luxury kitchen in cream high gloss with a high grade wooden floor. 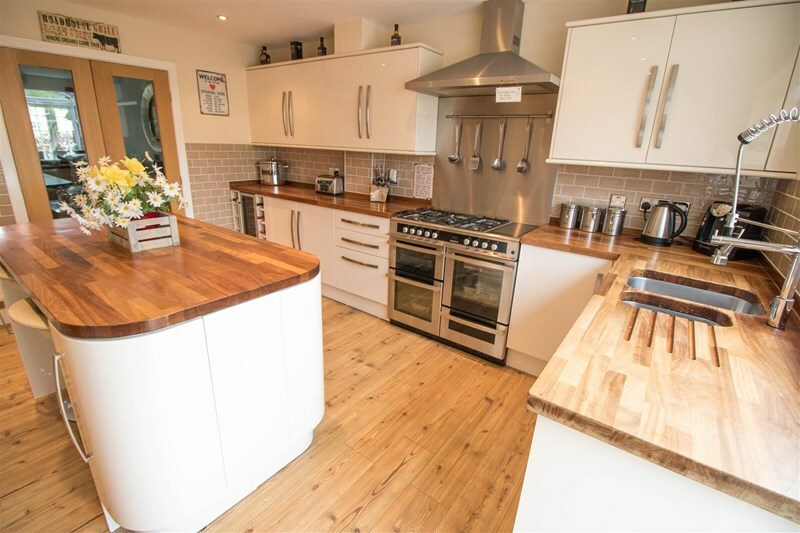 Includes an integrated gas hob, grill and oven, chrome extractor hood, washing machine, dishwasher and dryer. A centre island breakfast bar is a very useful addition with an open plan conservatory to the rear. 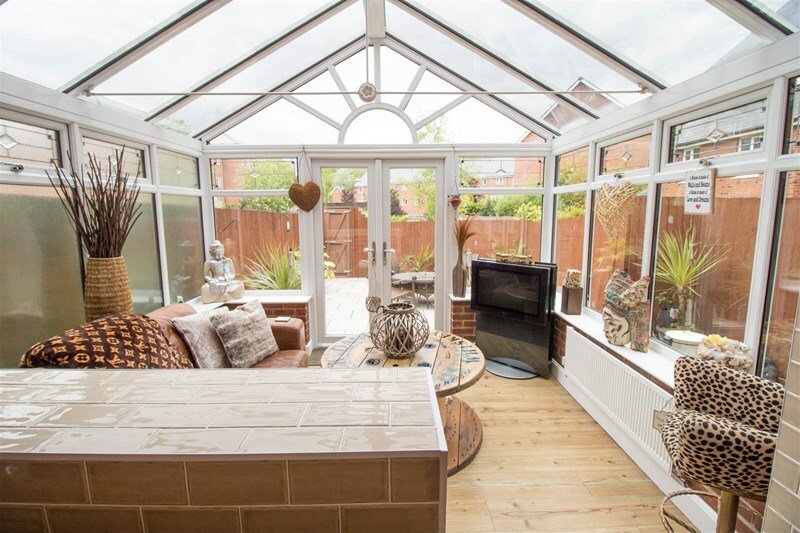 A large white framed uPVC double glazed open plan conservatory to the rear of the kitchen, complete with glass roof. Plenty of space for furniture to fit easily, could be used as a second lounge or dining area. 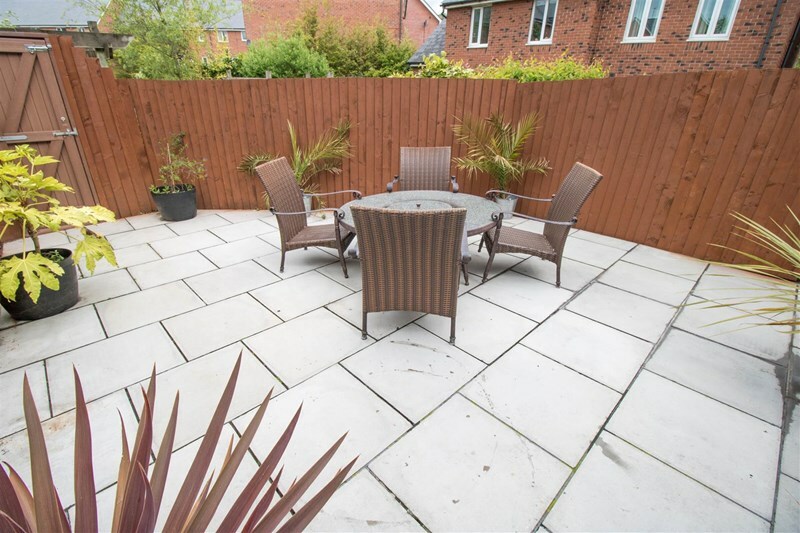 A low maintenance rear garden, fully enclosed with space for garden furniture and barbeque. The stairwell and upper floor landing to the first floor. 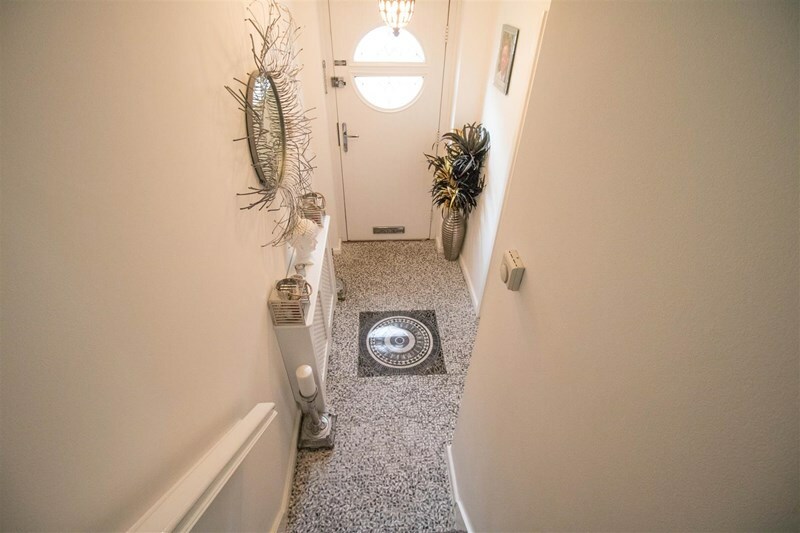 Decorated in white with a dark grey deep pile carpet. 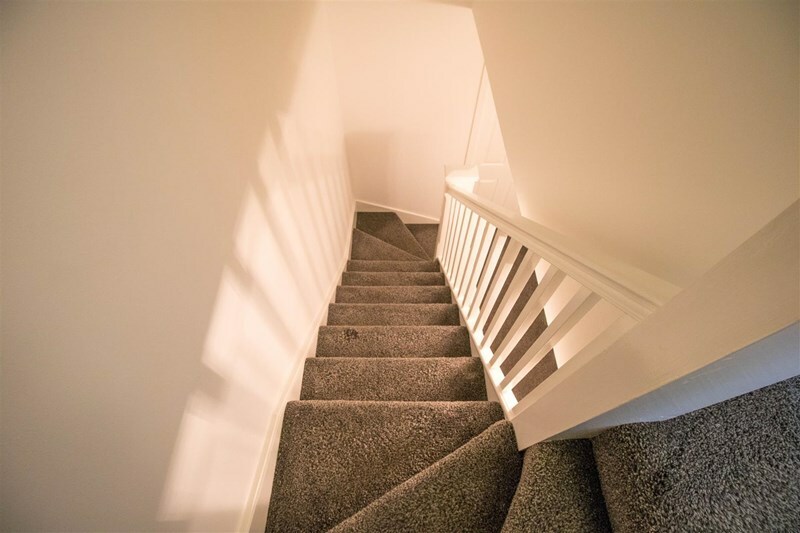 Fitted with a white painted banister rail and spindle balustrade to the landing. The master bathroom and bedrooms 3 and 4 lead off from the first floor. A stunning luxury master bathroom suite found off the first floor landing area. 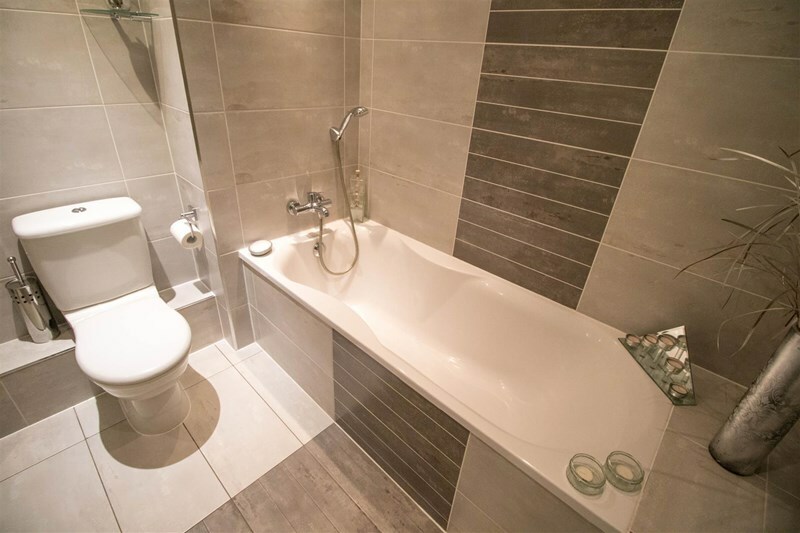 A 4 piece fully fitted bathroom in white, including a basin, toilet, bath tub and walk in shower cabinet. 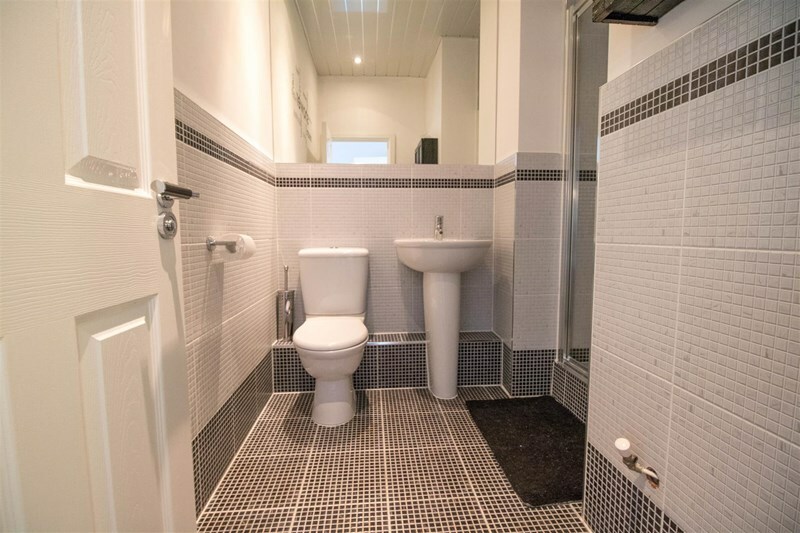 Complete with fully tiled walls and flooring. 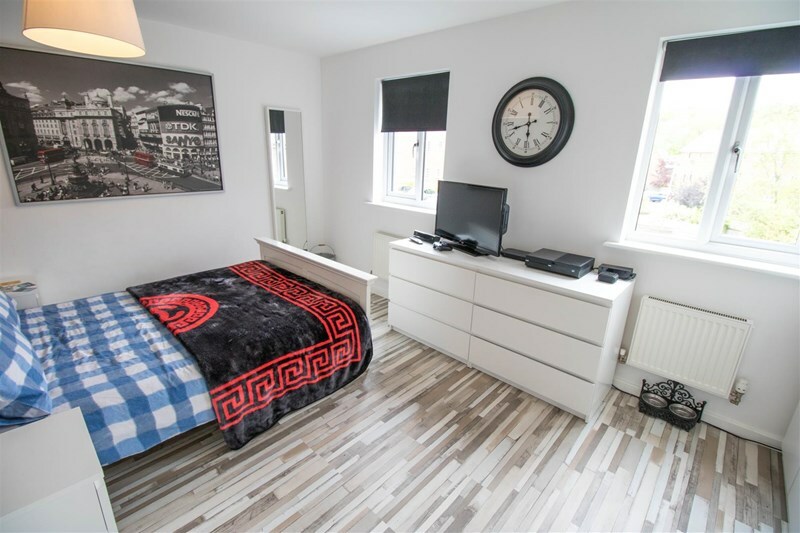 A double sized bedroom to the rear of the property, decorated in white with a lovely wood laminate floor. Space for fitted or free standing wardrobes and furniture. Comes with 2 uPVC double glazed windows to the rear aspect and warmed by a gas central heated radiator. 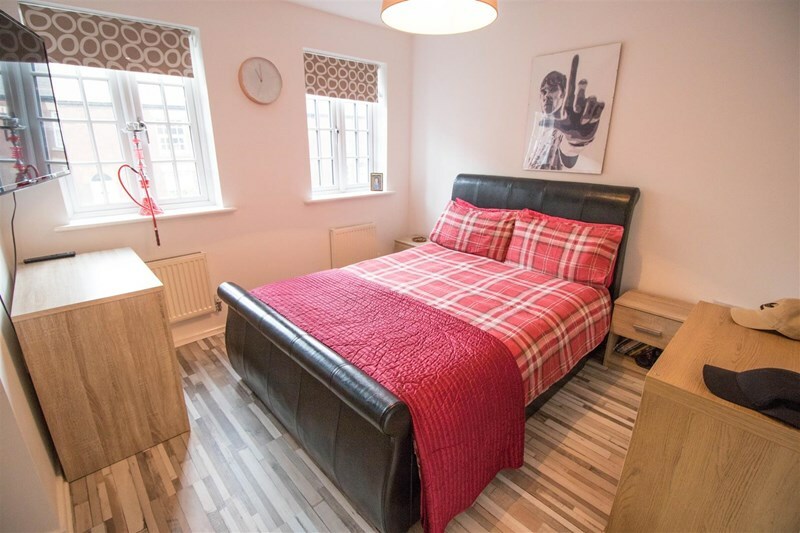 A double sized bedroom to the front of the property, decorated in neutral with a lovely wood laminate floor. 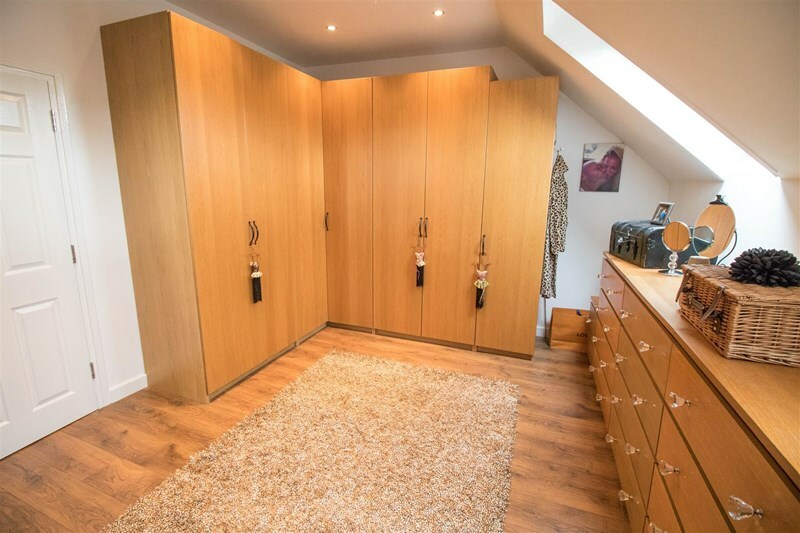 Space for fitted or free standing wardrobes and furniture. 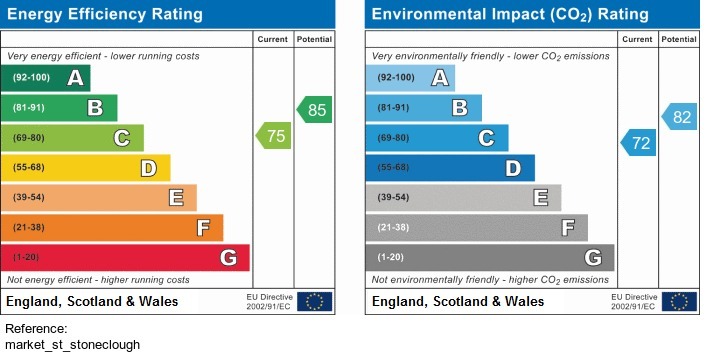 Comes with 2 uPVC double glazed windows to the front aspect and warmed by a gas central heated radiator. 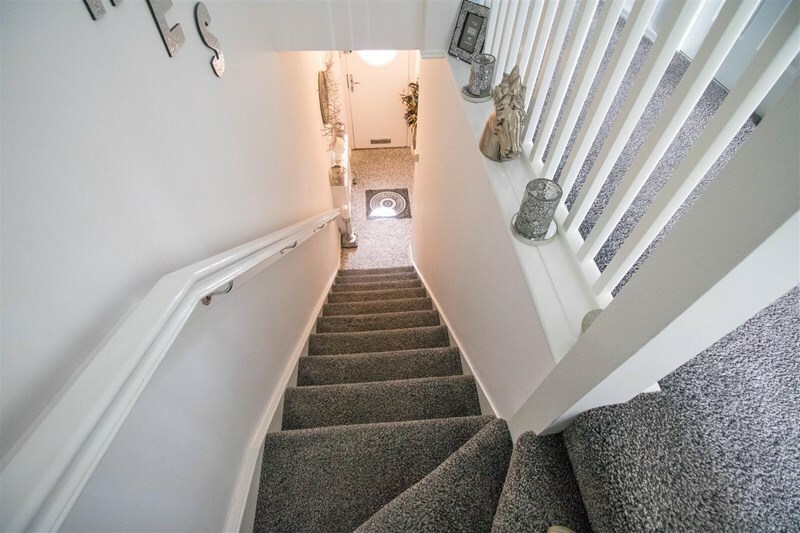 The stairwell to floor 2, decorated in neutral with a dark grey deep pile carpet. Fitted with a white spindle banister rail. 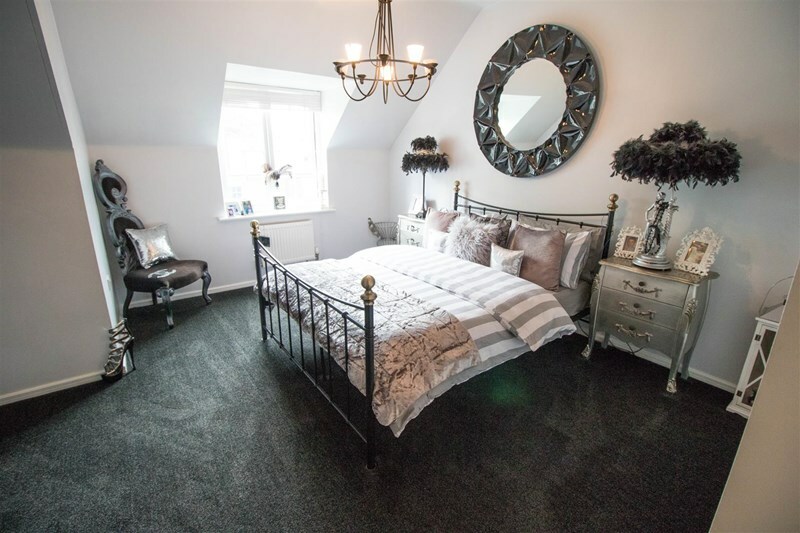 A double sized master bedroom to the front of the property, decorated in white with a dark grey deep pile carpet. 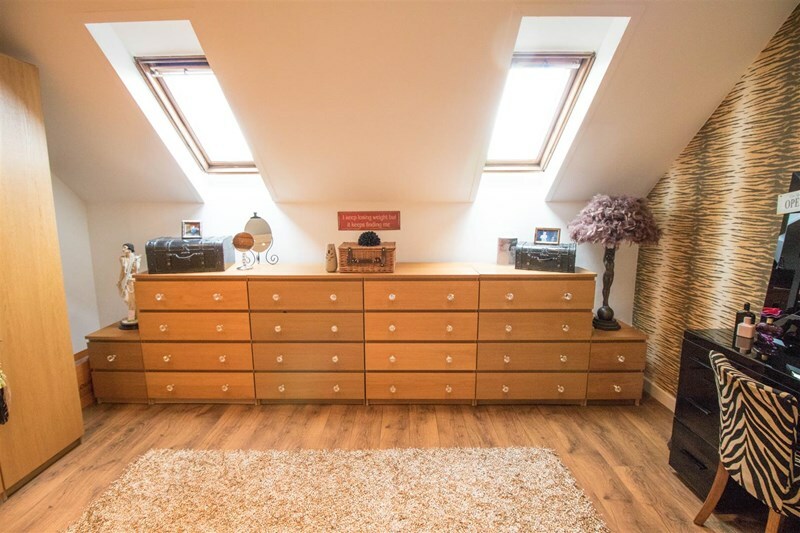 Plenty of space for free standing or fitted wardrobes and furniture. Fitted with a double glazed uPVC window to the front aspect and warmed by a gas central heated radiator. 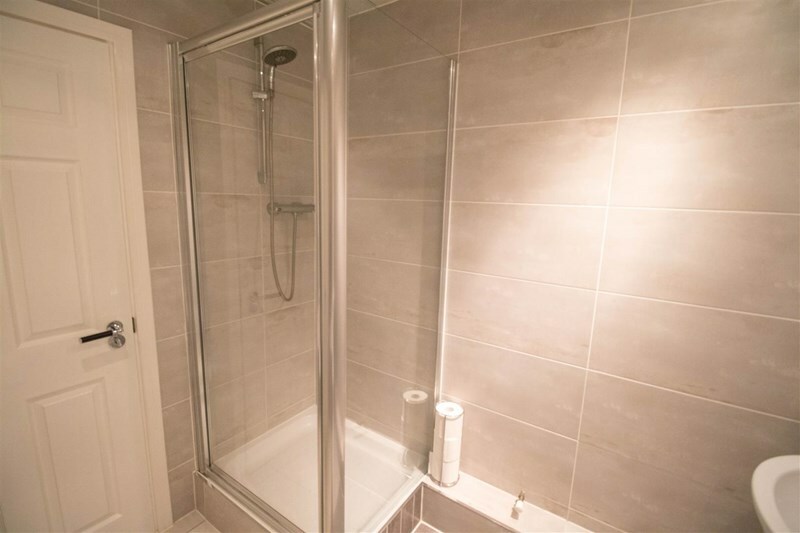 The en-suite bathroom to the master bedroom, decorated in white with a grey tiled floor. 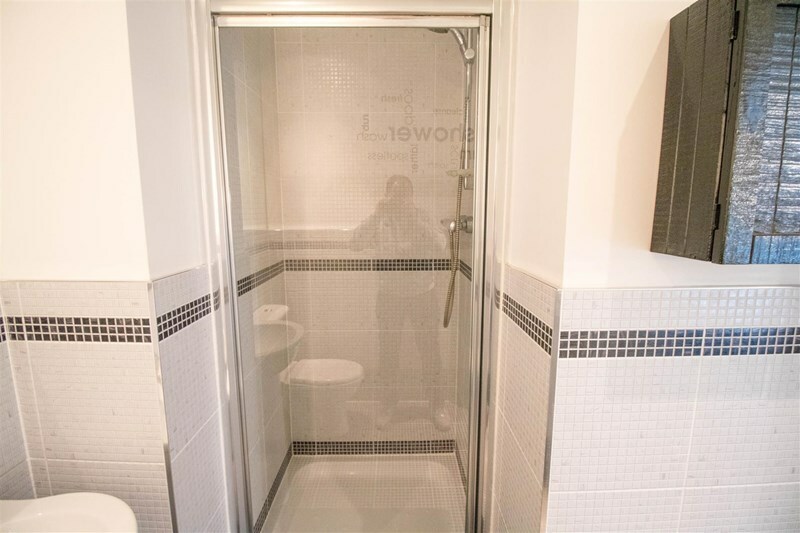 Comes with a basin, toilet and walk in shower cabinet. 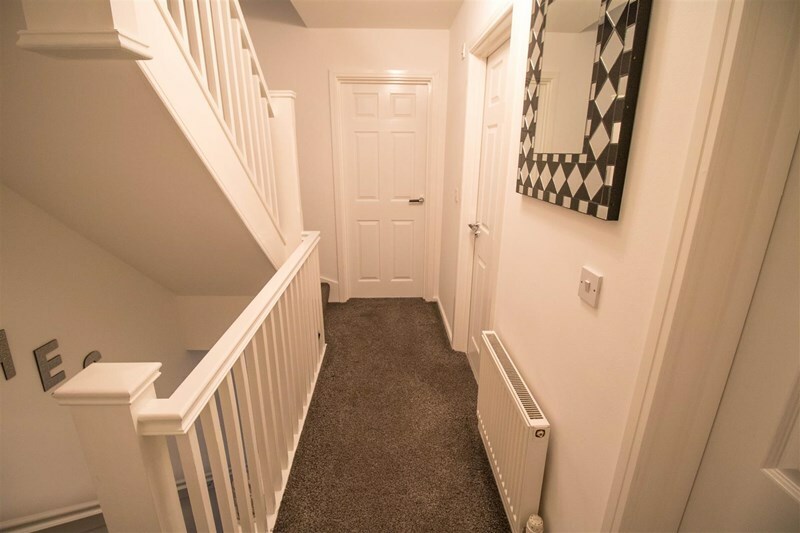 A double sized bedroom to the rear of the property, decorated in neutral with a super wooden flooring. 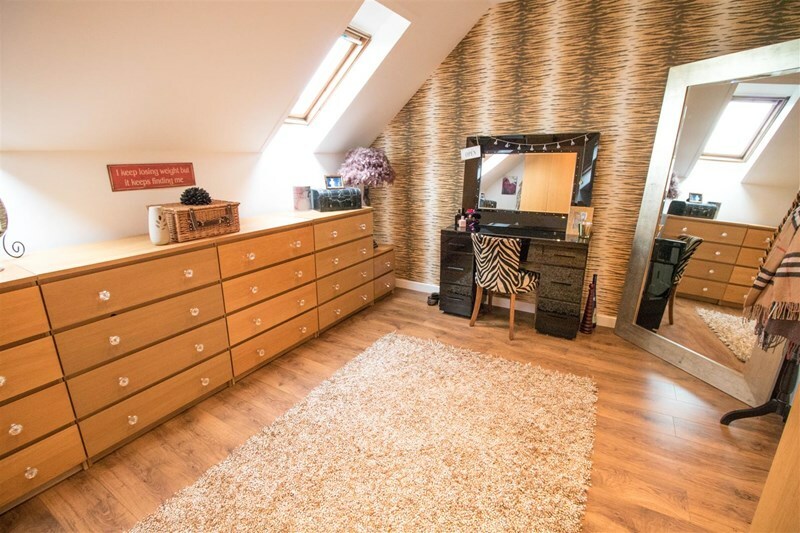 Currently used as a dressing room, with fitted wardrobes and dresser. Fitted with 2 double glazed uPVC sky light windows.